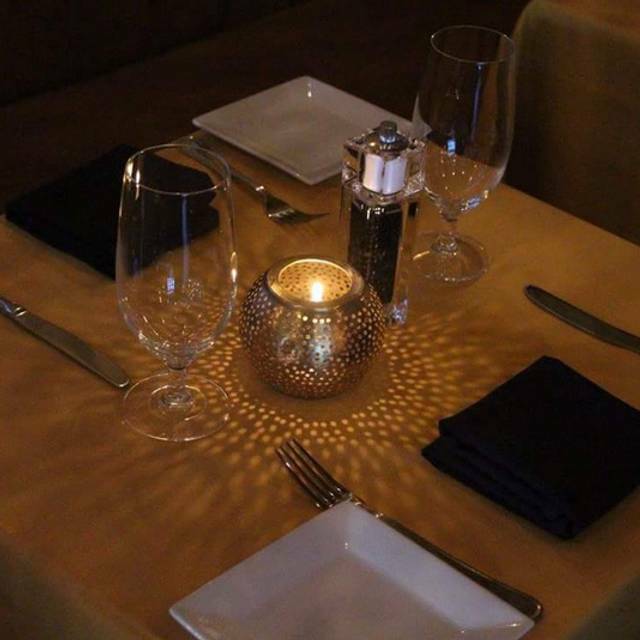 You must make reservations at least 5 minutes in advance of the time at Argana Restaurant & Bar. free street parking after 6 pm Monday to Thursday Valet and street parking also available. 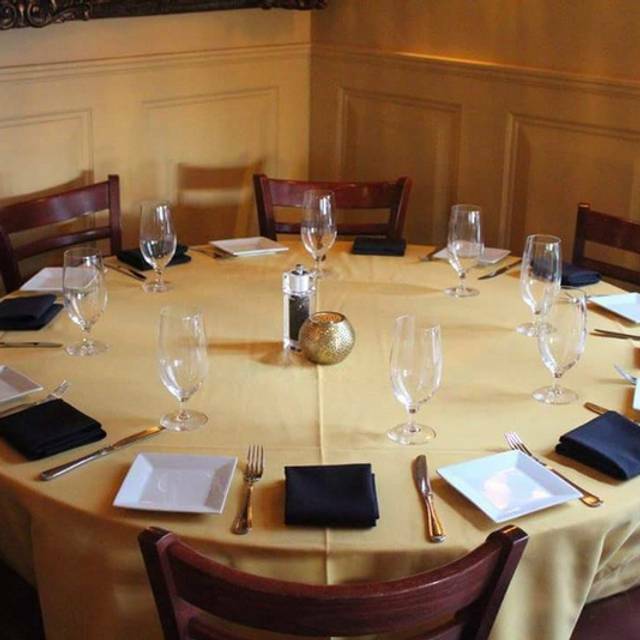 From small dinner parties to large affairs, Argana Caterers has an outstanding reputation for making catered events both stress-free and memorable. Argana Caterers plans and coordinates all aspects of the event – relieving any pressure and stress from the host. Based on your requests, our chefs will create an innovative and custom designed menu for the discriminating palate. Our staff takes pride in anticipating the needs of your guests and meeting them with genuine willingness and cordiality. With attention to detail, we assure you of an anxiety-free affair where you will be able to relax and enjoy yourself as much as your guests. 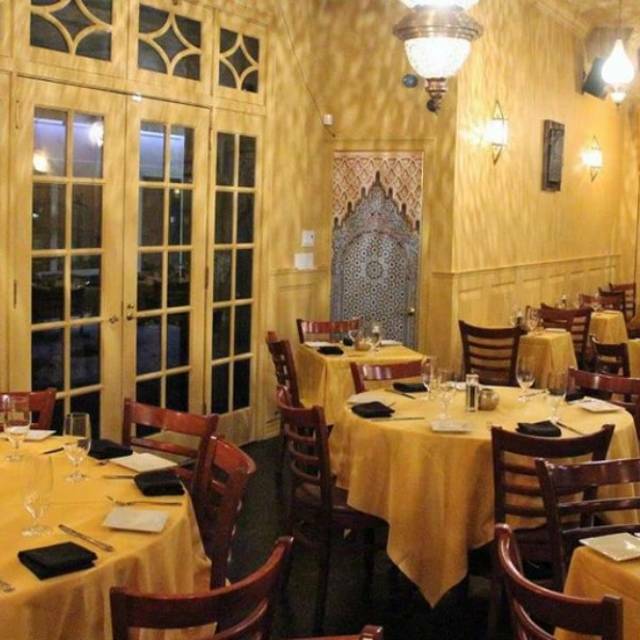 ARGANA is highly Authentic Moroccan cuisine with a menu incorporating an amazing succession of flavors of Morocco in new ways with the fresh, local, artisanal ingredients, and service that lives up to everyone standards. 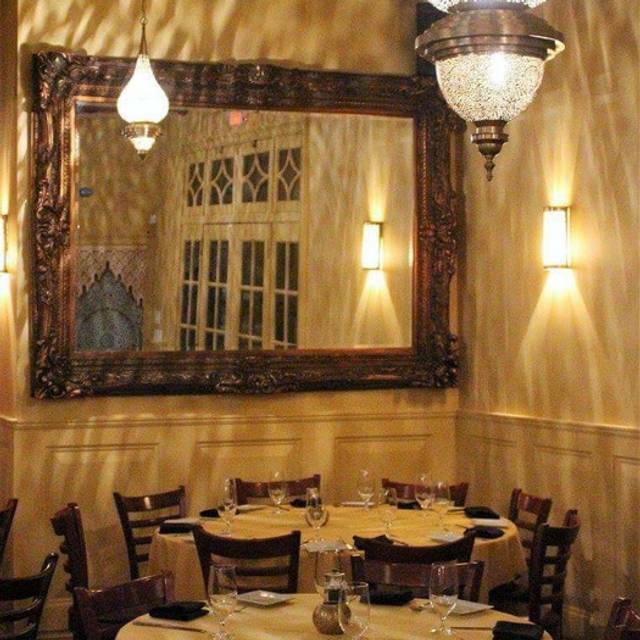 Aside from the beautiful and comfortably decorated interior with Moroccan exotic light coming from handmade Lanterns! Good service and delicious food. Authentic moroccan Cuisine. Great presentation. Looking forward to warmer weather when outside seating is available. We had a wonderful meal at Argana! The food was delicious, the atmosphere welcoming and the staff exceptionally warm and friendly. We will definitely return! Yummy food. Unassuming exterior, but nice lighting inside. Would come again. The ambience is soft romantic light emanating from bejeweled Moroccan lanterns. Lively Middle Eastern music, not overpowering but helping transform a lovely spot into an experience. Casual and knowledgeable wait staff including the owner and his family attending to all guests. While the cocktail menu selection was very interesting, incorporating spices and elixirs such as pomegranate juice, yet some were weirdly not tasty. Otherwise, the appetizers were very good and tasty, salad dressing delicious and overall a very nice experience. The food was excellent. Our party of four enjoyed every dish we ordered. I highly recommend the chef! Knowledgeable waiter. We enjoyed the appetizers and main courses. Delicious spices without being overpowering. Only one short rib in the tajine was disappointing for $30. Baklava for dessert was dry. Ice cream was very good. Get there by 6:30 if you want reasonable service. It gets very slow later as it gets busier. This is a great restaurant, food delicious and reasonably priced, house white wine very good too! We had chicken Bastilla, sea bass, goat cheese cigar and couscous, all yum! Lovely friendly staff. Highly recommend! A very classy nice restaurant. A warm welcoming, followed by an excellent service, with a lot of attention to details on order to please you. I took at first a sardine, the beef couscous excellent. With that I took a glass of the Moroccan red wine. Somewhat surprising, it does not taste like anything I have already drunk, but I kinda liked it. No word to say that it was awesome. The service always with a smile and very patient with us. Conclusion, if you have the opportunity to go eat there, do not hesitate ! Very good Moroccan food with ample explanation from the friendly staff. Great find, the service is excellent and food is fantastic. It has a nice ambience and the napolean with some moroccan tea is a must in the end. We went to this restaurant the first week it opens several years ago. 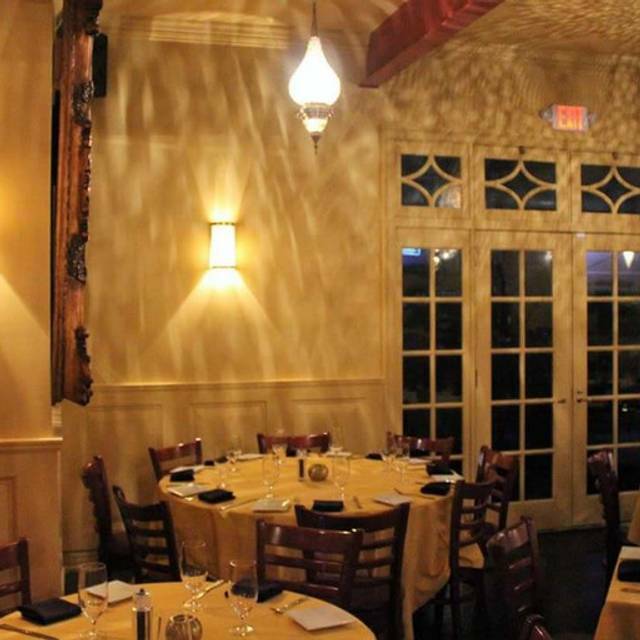 It is still one of the best restaurants we know for ethnic food and specialties. All round wonderful dining experience. Staff are terrific as well. Keep up your high standards they are greatly appreciated by customers like us. Great service. The staff was very welcoming and friendly. The food was decent. Pleasant atmosphere! Good food and friendly waiter! I will go again! Thank you! Very little food, no sides included, dishes were dry, over cooked, lack authentic ingredients, and way overpriced. Delicious! We will be back! Great service. Had a great dinner with friends. The food and local wine were excellent. Fifth time there, first time a bit disappointed. Just a few days after New Year'sDay, on a Sunday, they have too many items from the menu that were sold out, with for example only one of five desserts available. food we chose was quite good however, especially the branzino. Service was spread a bit too thin to be fully responsive. But this day was abnormal: I'll be back! We went to Argana for New Years Eve and couldn’t have asked for a better experience. The food was amazing (apps, entree & dessert), the service was outstanding (genuine, personable & knowledgeable) and the ambiance was exotic, comfortable and cheerful! We will be back to Argana very soon!! Amazing food and very attentive staff. The place is beautiful and comfy. I will definitely return. 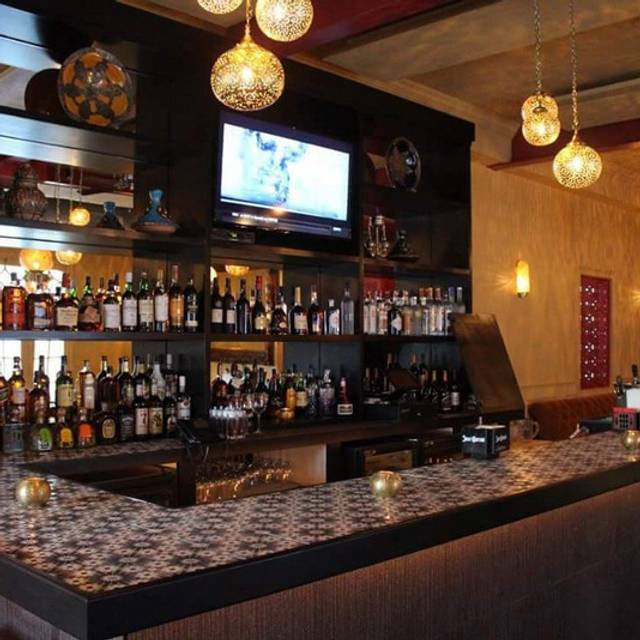 Love the Moroccan specialties and Mediterranean atmosphere. The tagines are my particular favorites. If you are looking for something different try Argana. Went for a birthday dinner with my brother. We had great cocktails, delicious dinner with exceptional service. This was my second time here and I look forward to bringing more friends and family here to dine. A great place to go to escape the ordinary meal. Great selection of drinks and food. Can hardly wait to return. We have enjoyed this restaurant several times, but this time was disappointing. Service was very slow and inattentive. The food was not hot. Warm, but not hot. Bummer. 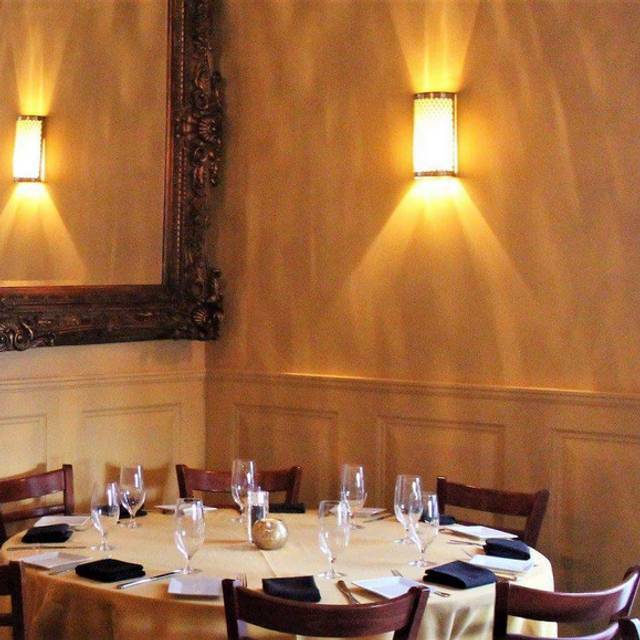 Layout and design is appealing: overhead lights and sconces project interestintg shadows and add to the ambience. Appetizers were great: fromage cigar and the couscous salad. Chicken and meat tagine were both very good. Good wine list, reasonably priced. Vegetable tagine was lacking in spices (why do people think vegetarians want boring food??). Staff needs education on menu and coordination on serving a table. Awesome find in Westchester county. The food here is excellent and authentic. If you love Moroccan food go! If you've never tried Moroccan food...go!! Overall, we had a very enjoyable experience at Argana, especially due to the attentive friendly service from everyone there. We celebrated my husband's birthday with cuisine we don't have at home and everything was delish! The prices are reasonable for the NY Metro area although I think they should provide couscous with the entrees (especially with a tagine that is basically stew and needs to be served over something that'll absorb some of the sauce) instead of charging extra for it as a side dish. They found out it was hubby's birthday though, and comped us a yummy dessert with a candle on top! We will definitely return! 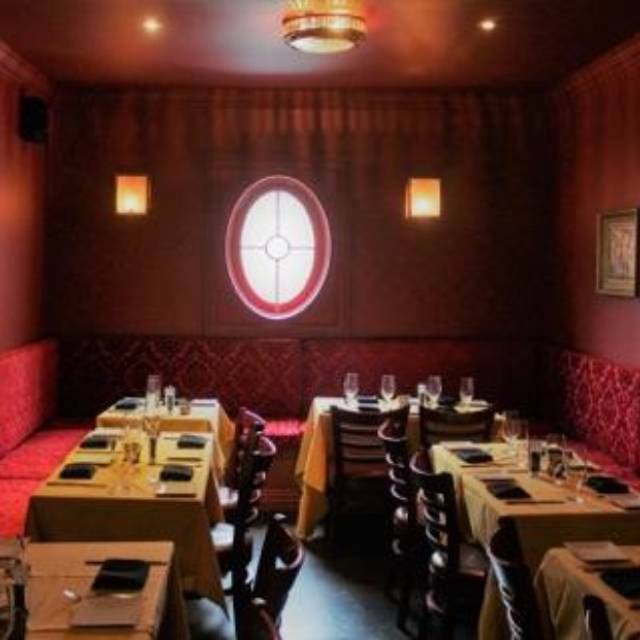 Lovely place - though it struggles a little between being intimate and romantic and being a bar scene (e.g., cozy tables but a tv over the bar). The food was excellent and the service attentive. As others have noted, it's a tad pricey for what you get, but really not excessive (maybe 10% over what you'd hope for the ambiance and quality). The wine list was very interesting, and the vibe a good one. Something for everyone. First time there. Pre show dinner with another couple. Lovely ambiance and very welcoming, knowledgeable staff. Portions were modest for the pricey bill, so value was off. My husband ordered the lamb tagine, which we expected to be full of yummy moroccan spices and very aromatic. More on the boiled looking and tasting side. Side of grilled egglant was salty but nicely spiced. Harissa shrimp appetizer was a stand out and grilled octopus was tasty but small for $16. Would like to try again, but need to save up. Nice ambiance, food was very tasty and servers were attentive. My wife really enjoyed the soup, sardines were go too. Fish very fresh with nice flavors. A confusing and disappointing experience. We met friends for a 7:30 dinner reservation. They pretty much gave us a choice of where to sit as the room was less than half full. We were basically ignored for the next 40 minutes when my wife finally ordered a cocktail. At close to 8:30 they finally took our order. Our starters came out in reasonable period of time the. We sat waiting for our entree's and watching tables that had been seated after us get served. Throughout this we had a hard time getting our servers attention. At about 9:30 we were served dinner. Based on other reviews I ordered the scallop tangine . The scallops were so over cooked they were like eating rubber. I should have sent them back but at that point wanted to eat and leave. By and large our food was ok, not great. It's hard to tell if the kitchen was having issues that night but if this is indicative we wouldn't return. They realized our displeasure and comped us dessert, which was ok.
One other negative. Surprised in this era that their beer selection was pedestrian mass marketed beer. We greatly enjoyed all the time with friends, but if we wanted to eat dinner at 9:30 we would have planned it that way. We would be interested to hear from others on what their recent experiences are. Service was very average , Some items in menu were not available. The food is very delicious-very nice salads. The tagines are always a hit. Always got the vegetable tagine, this time I got the chicken which was really, really good. One of our party got a fish tagine and he loved that. Always end the meal with mint tea! The service is also excellent. Food, service, ambience - everything was great. Would recommend they reconsider the background music (a bit too disco-like). Delicious, authentic Moroccan food, great service. Highly recommend.